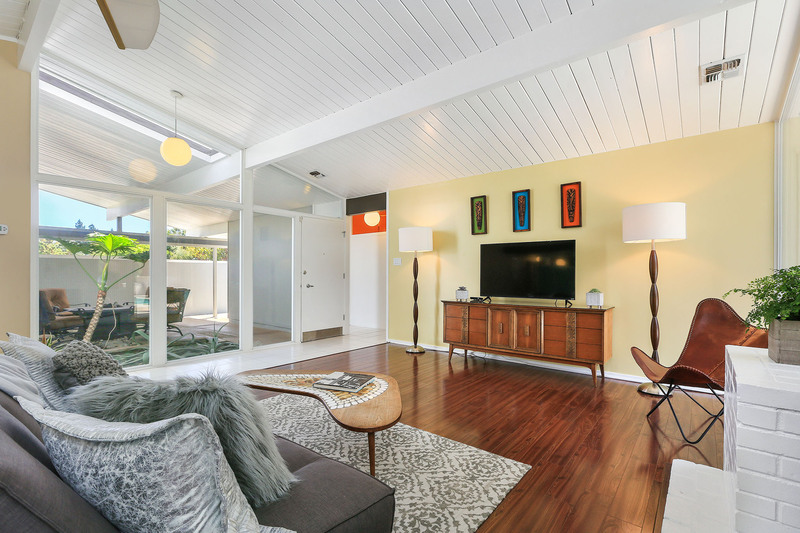 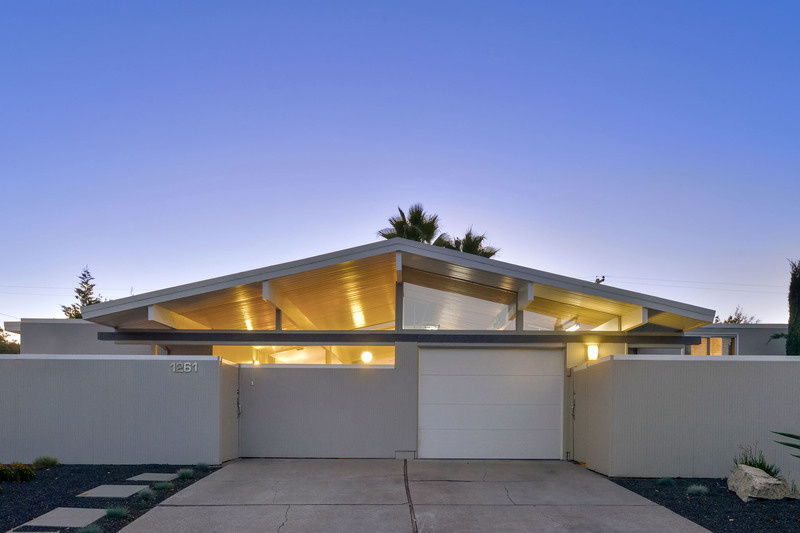 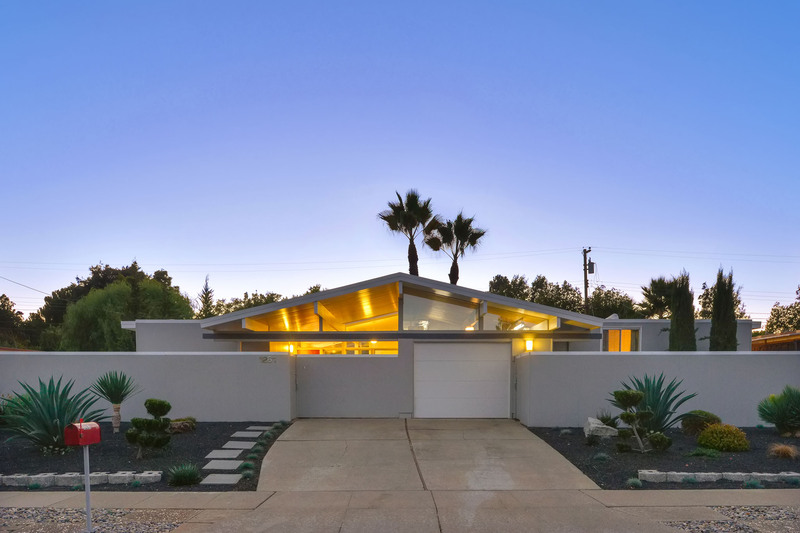 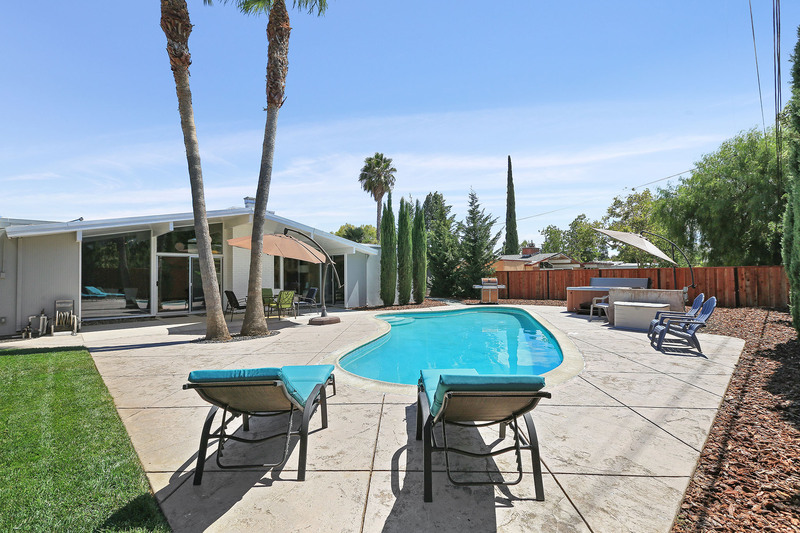 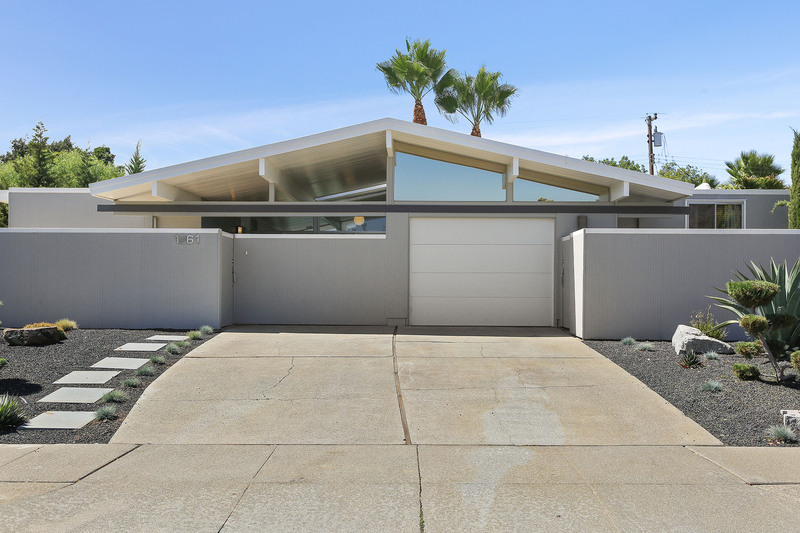 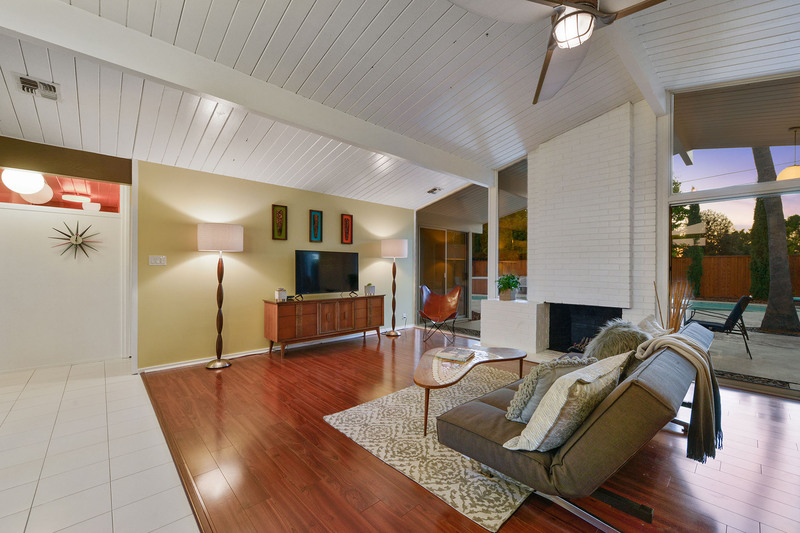 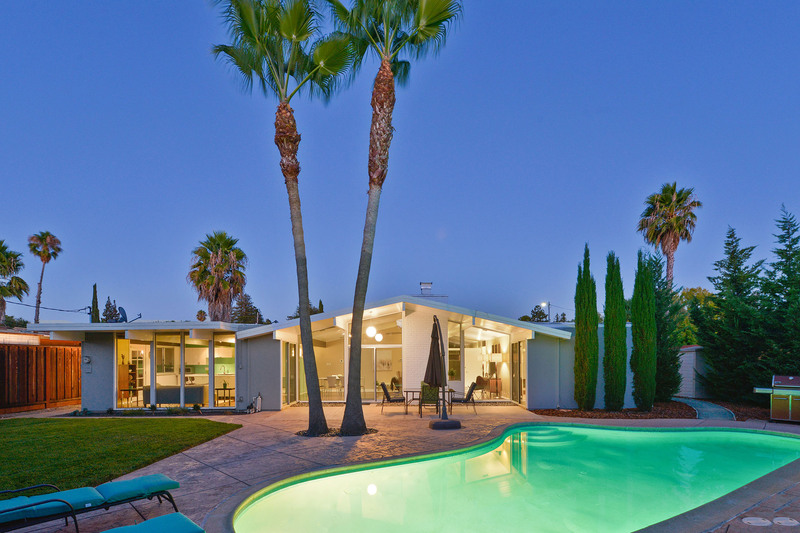 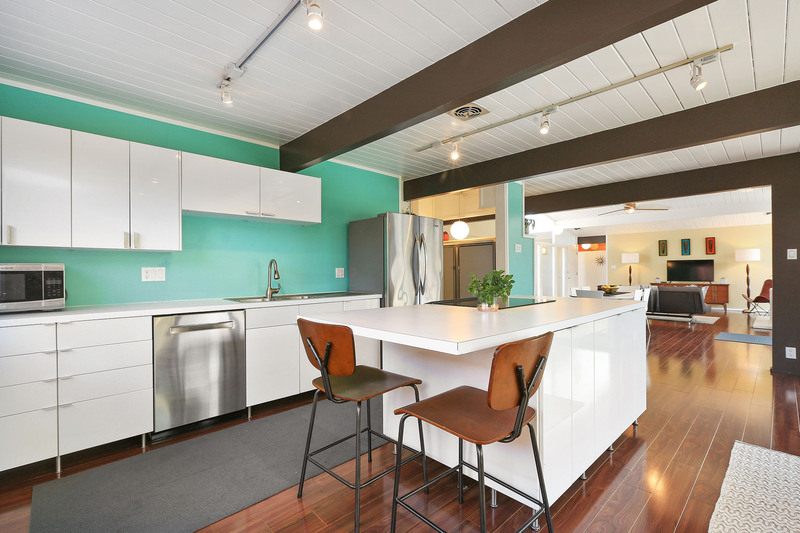 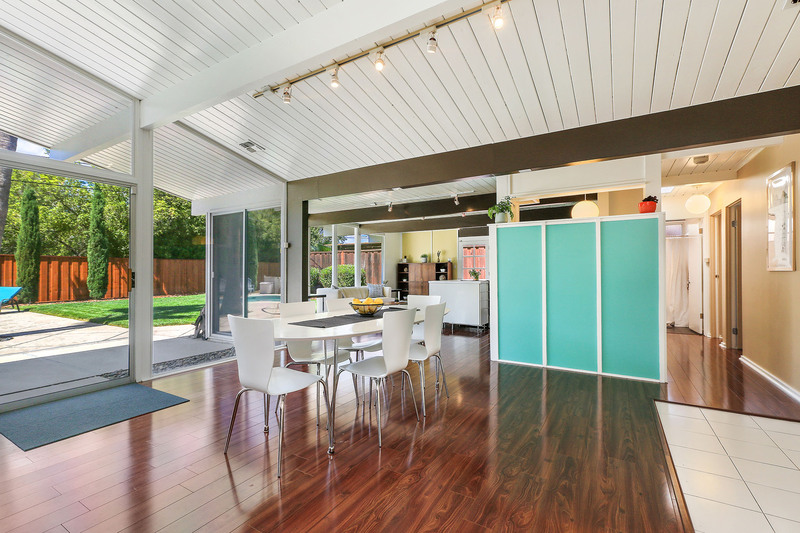 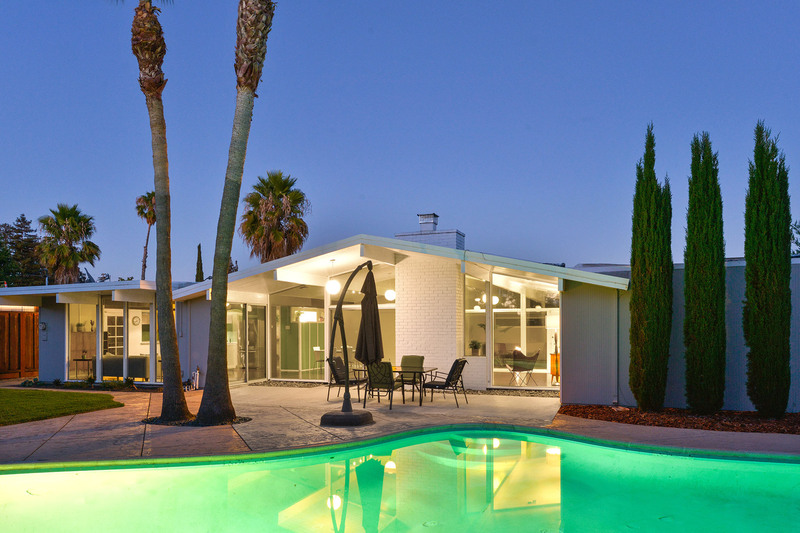 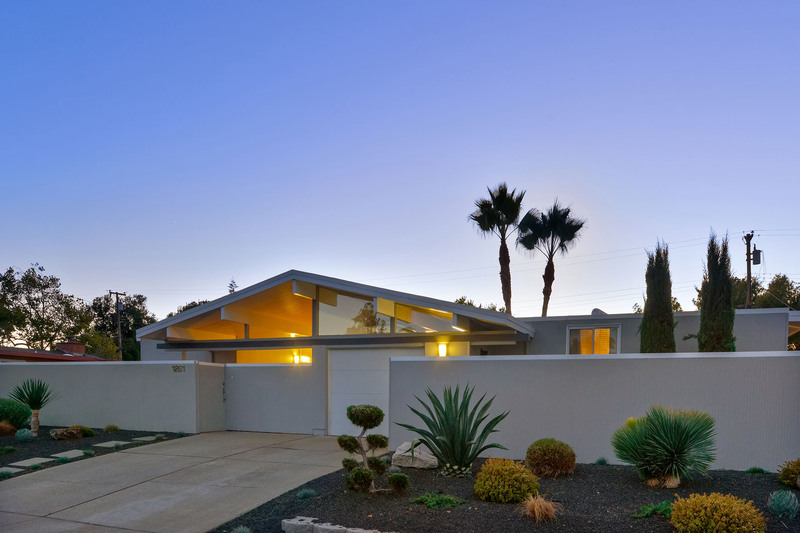 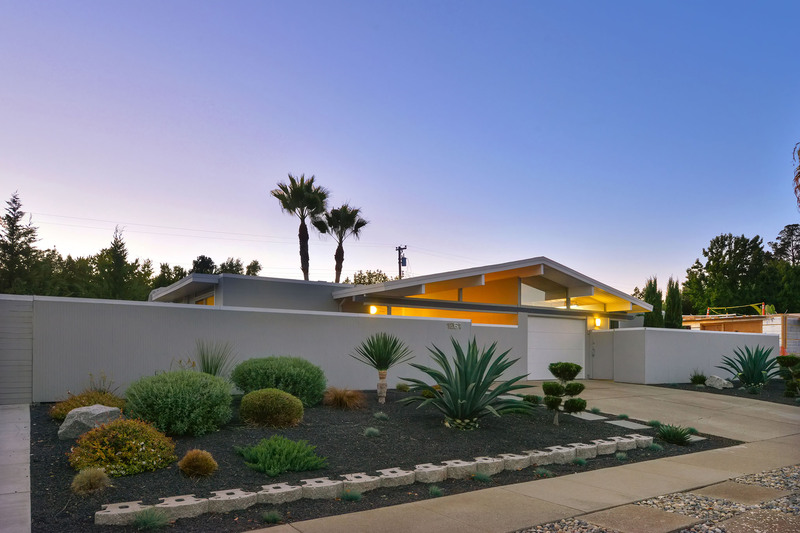 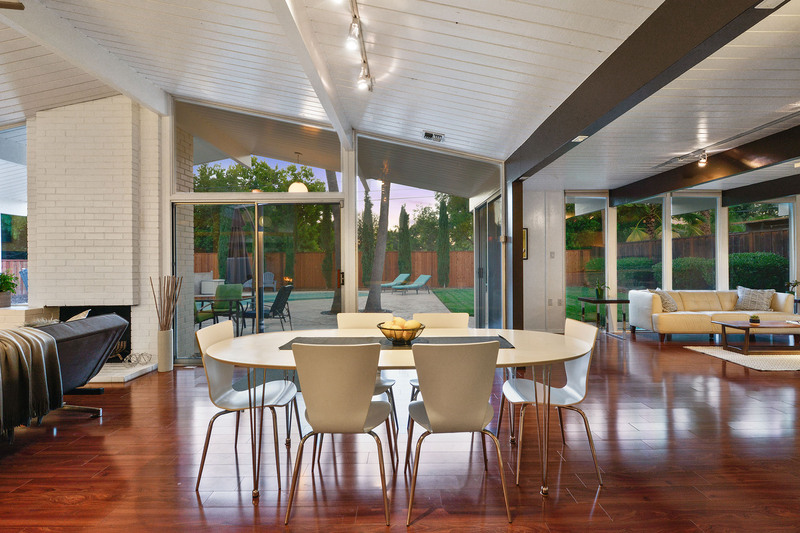 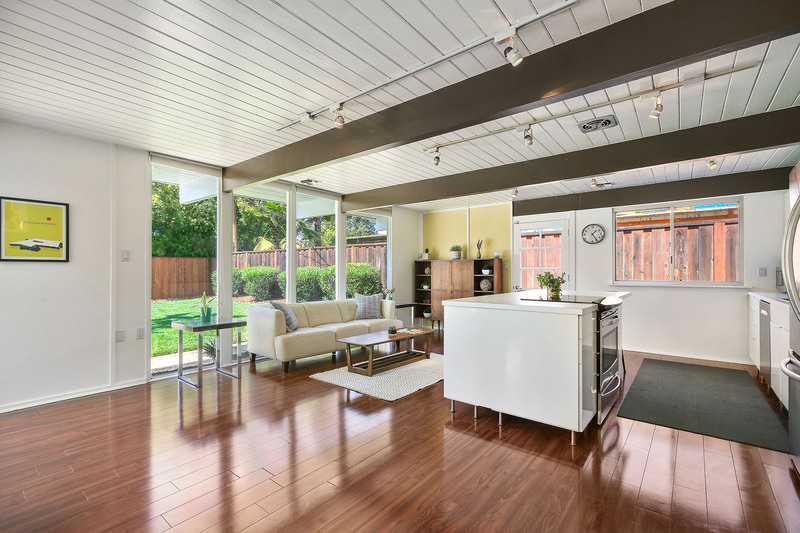 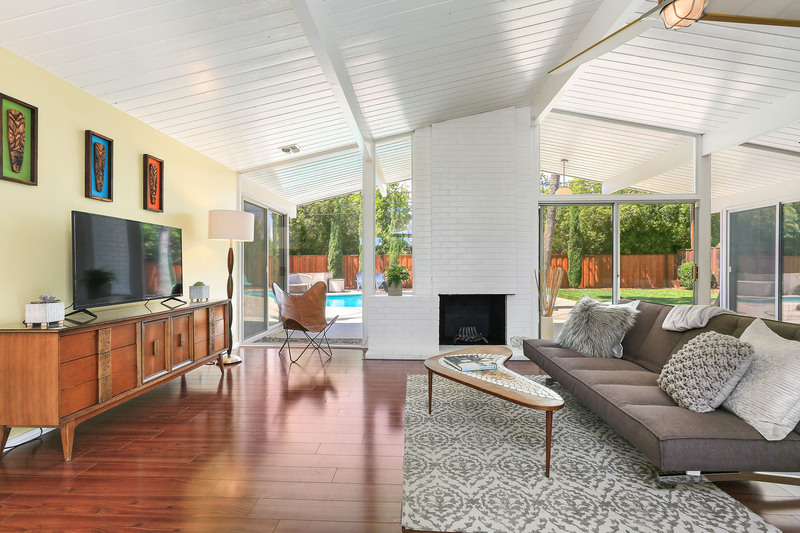 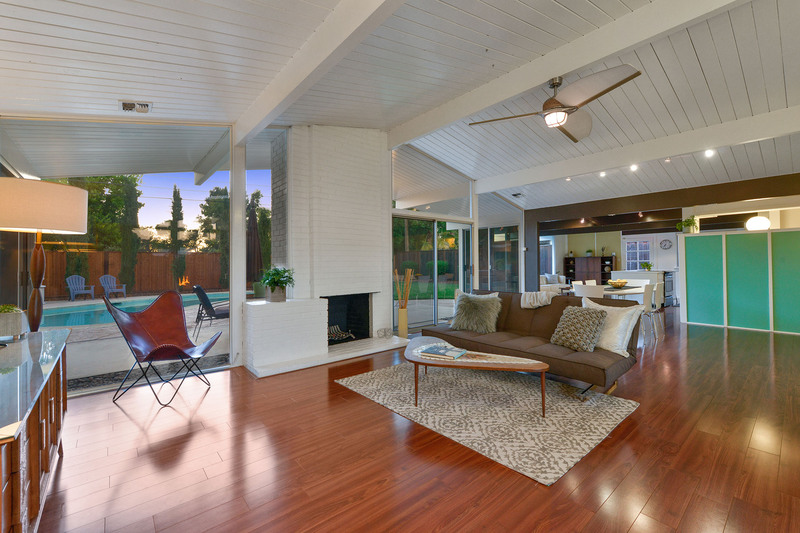 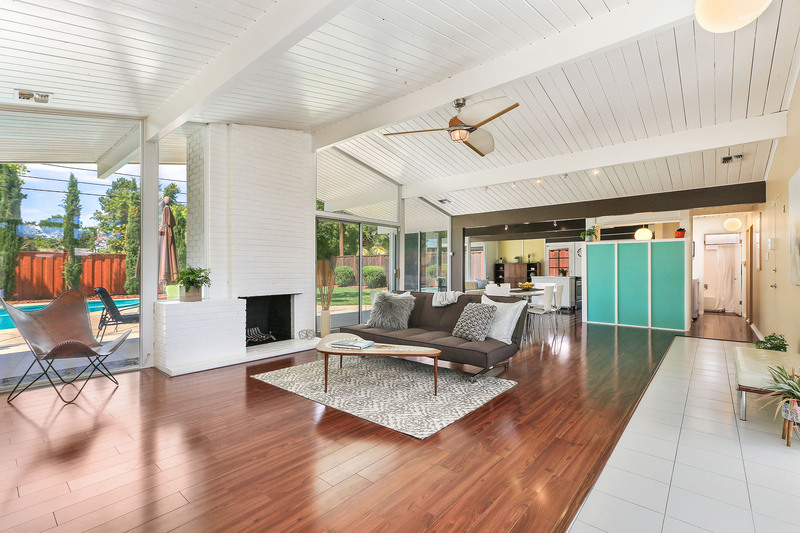 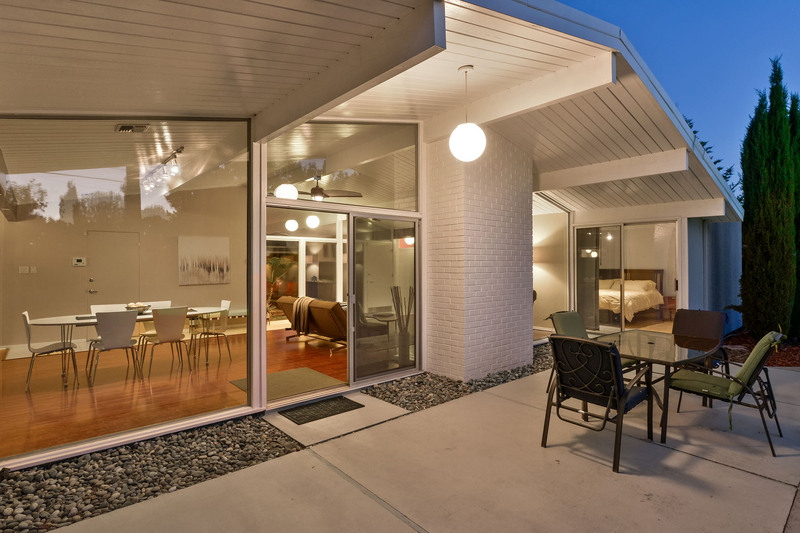 Exceptional Eichler home in Concord’s coveted Parkwood Estates designed by legendary mid-century modern architecture firm Emmons & Jones. 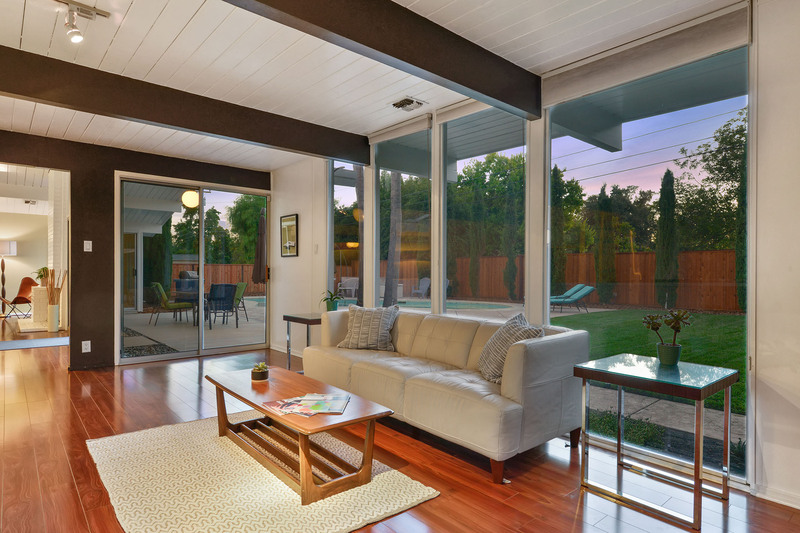 One of the most popular and desirable Eichler models for its utility and layout, this particular design features 4 ample sized newly carpeted bedrooms including a roomy master suite with outdoor access, 2 remodeled bathrooms, impressive open great room with gorgeous laminate flooring and wood-burning brick fireplace, and a contemporary remodeled and updated spacious kitchen with center island and stainless steel appliances. 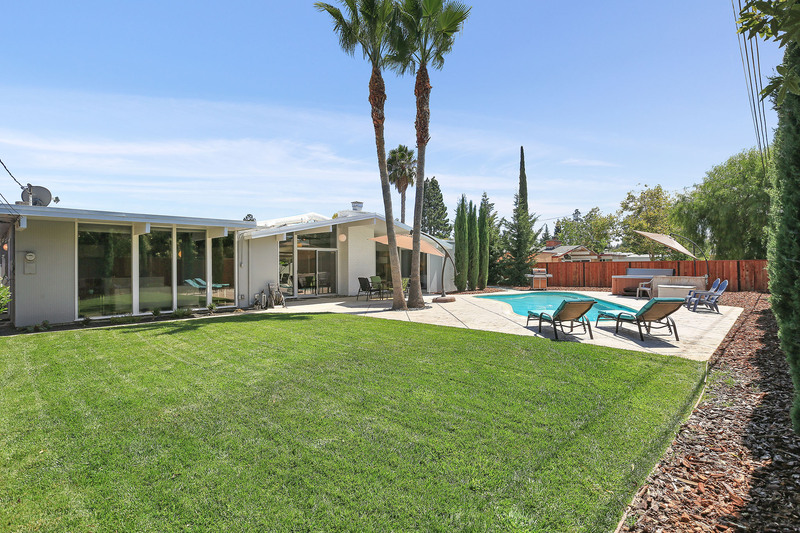 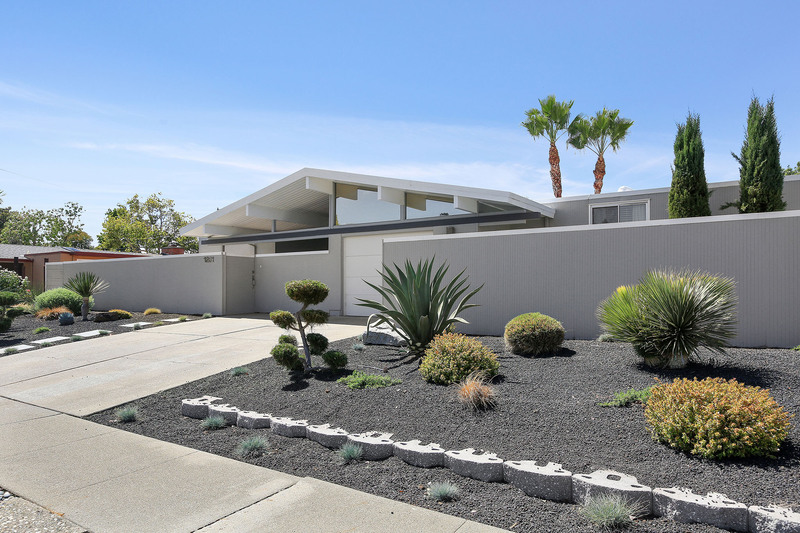 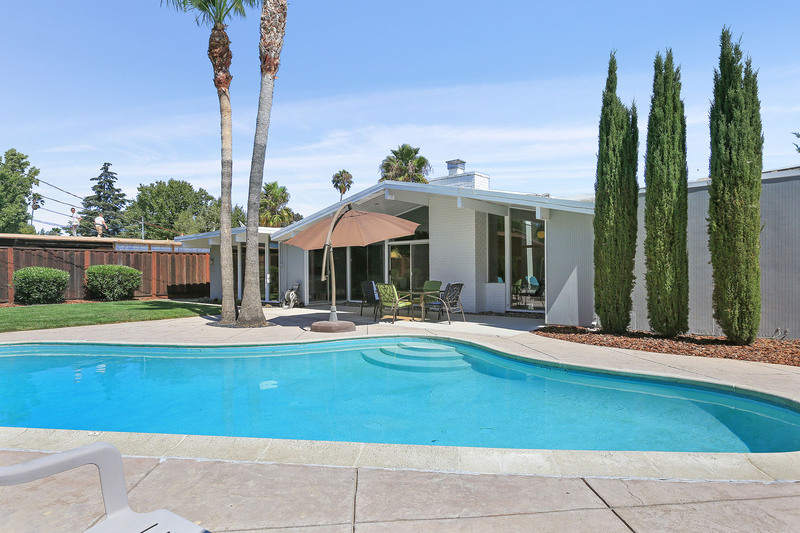 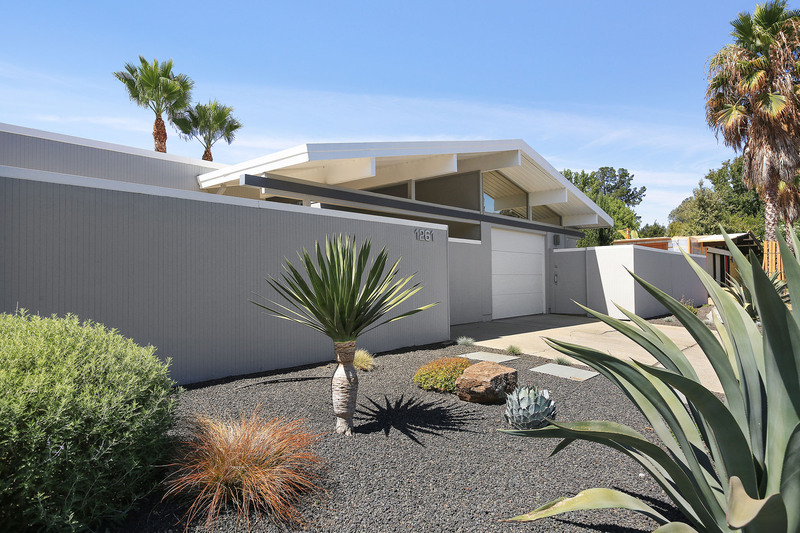 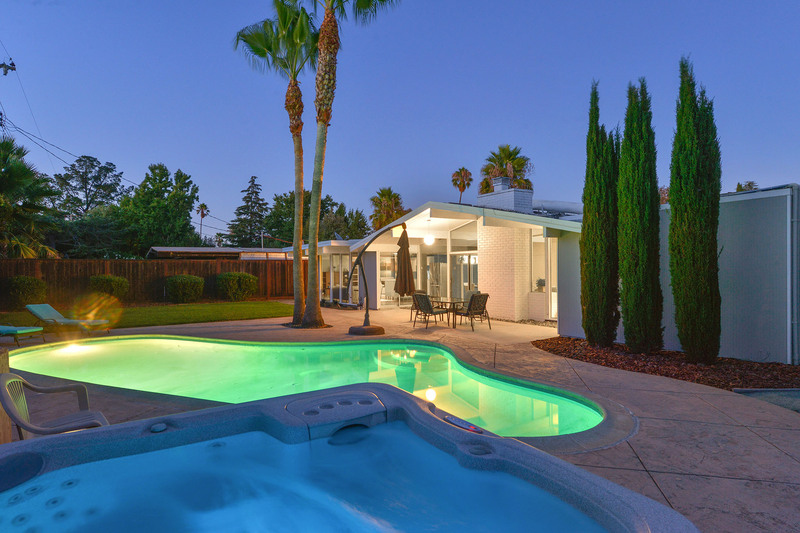 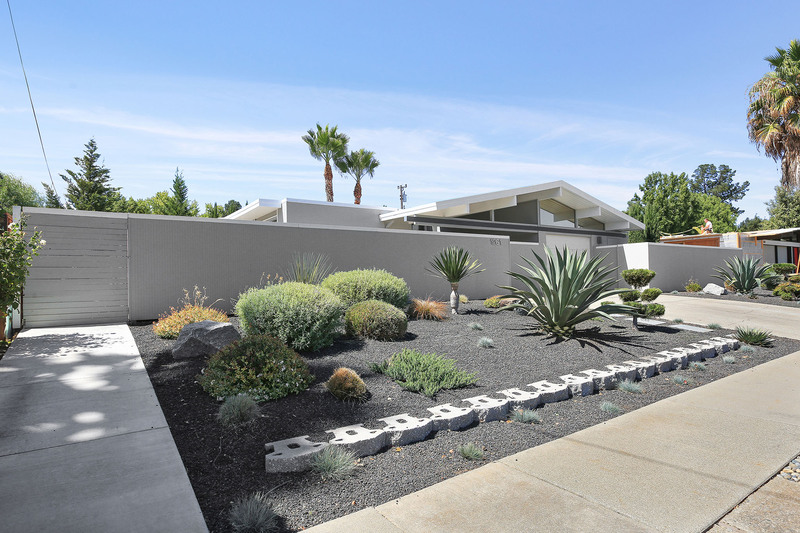 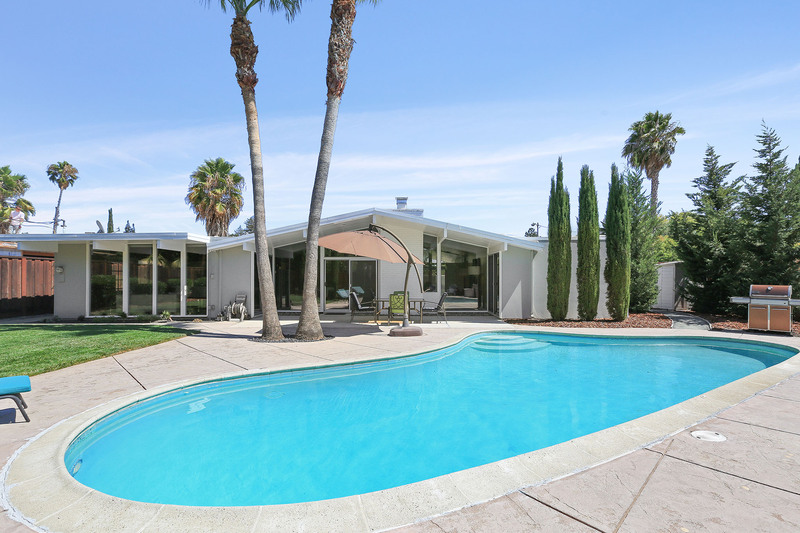 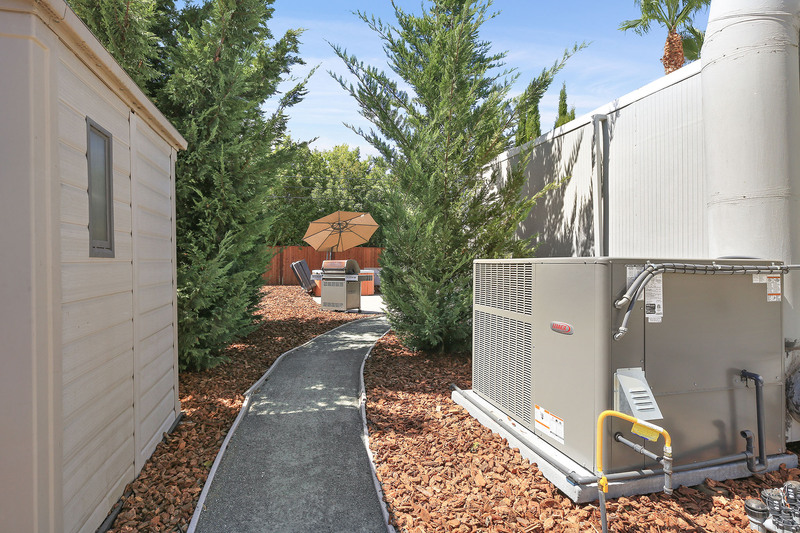 Striking curb appeal with designer color palate, and a meticulously landscaped low maintenance front yard with drought tolerant plants and programmable irrigation, that make you think you were in Palm Springs! 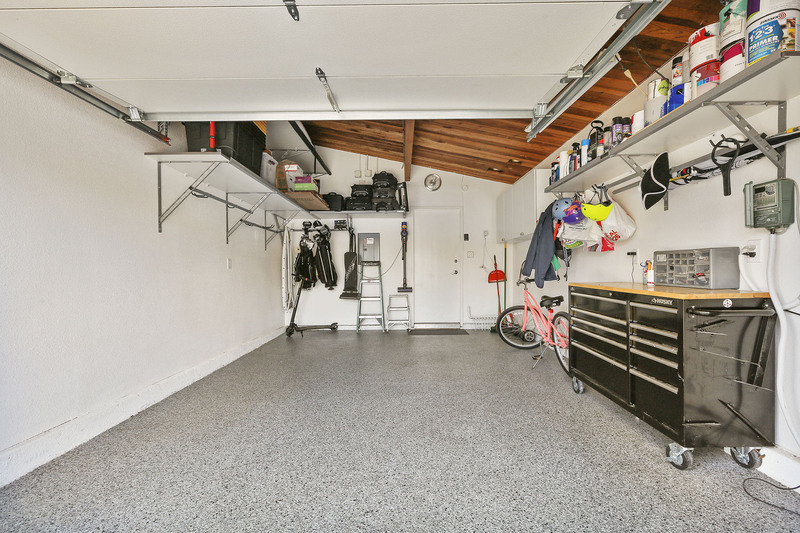 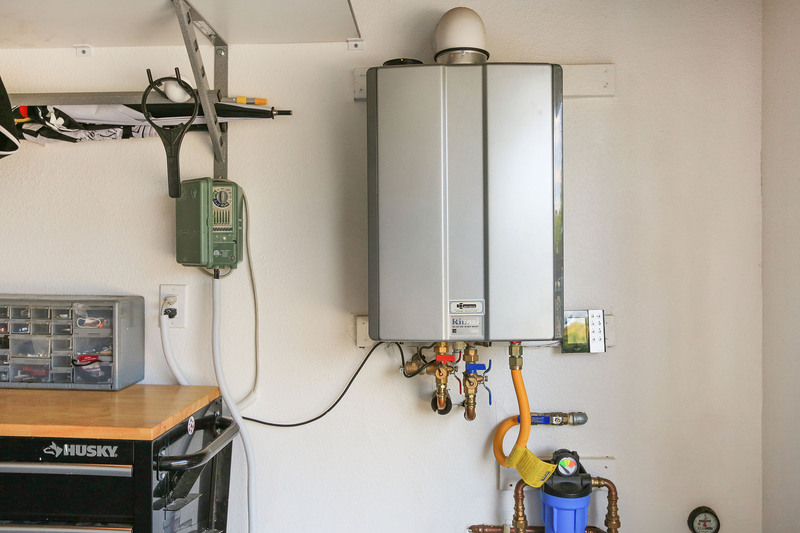 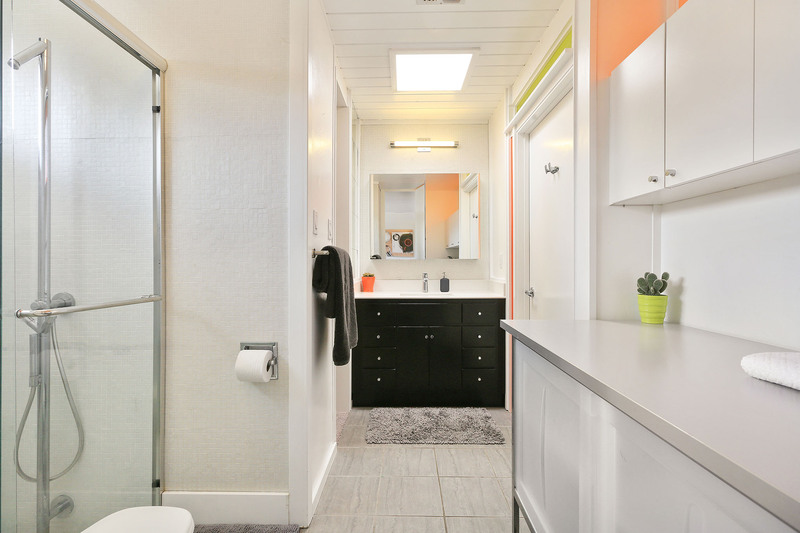 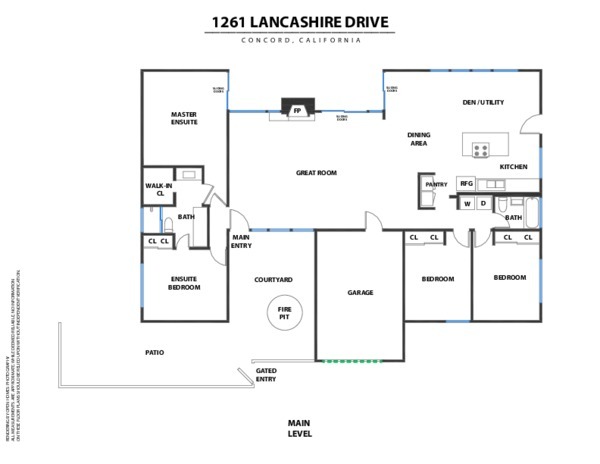 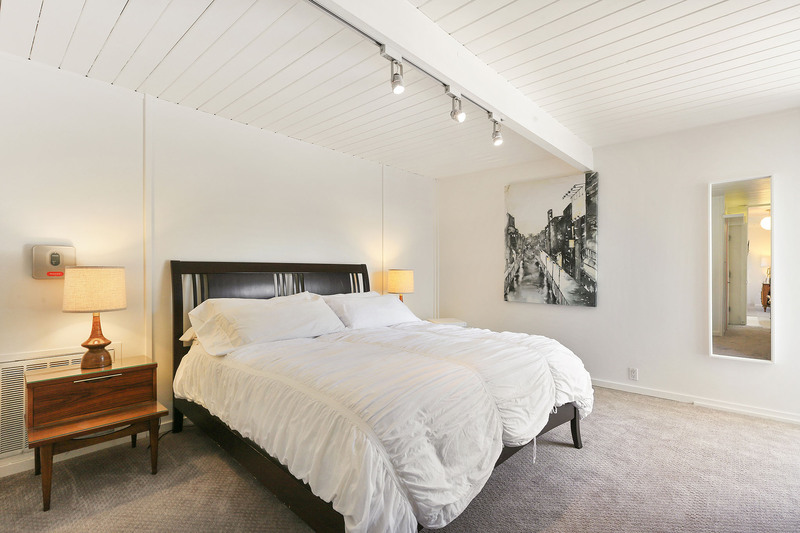 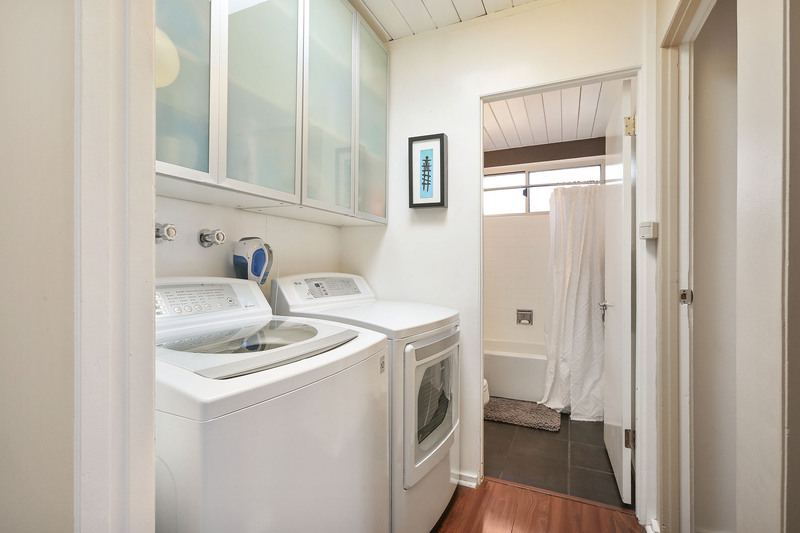 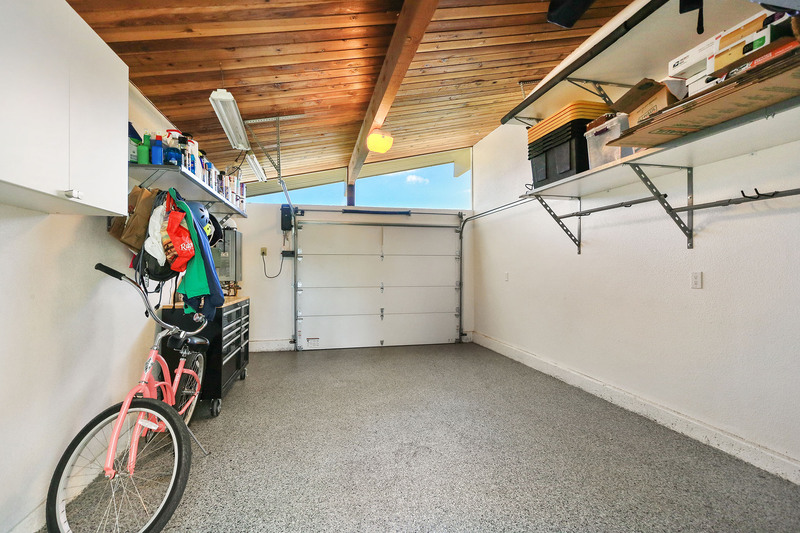 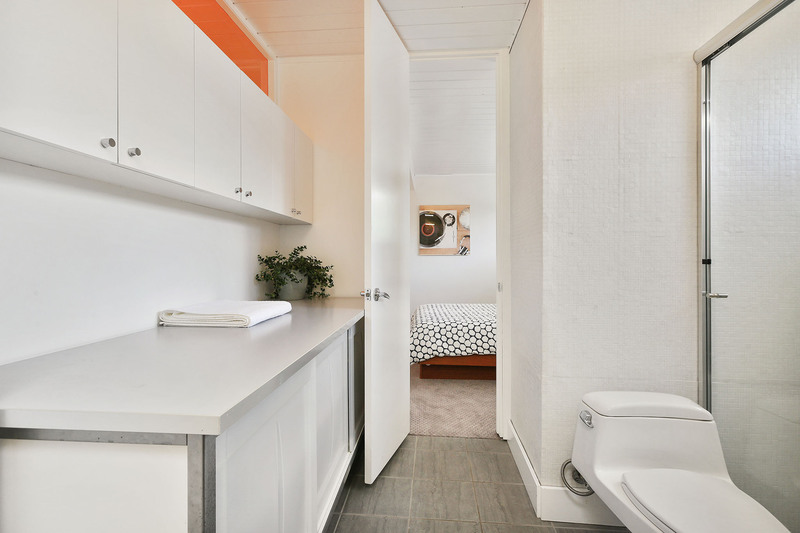 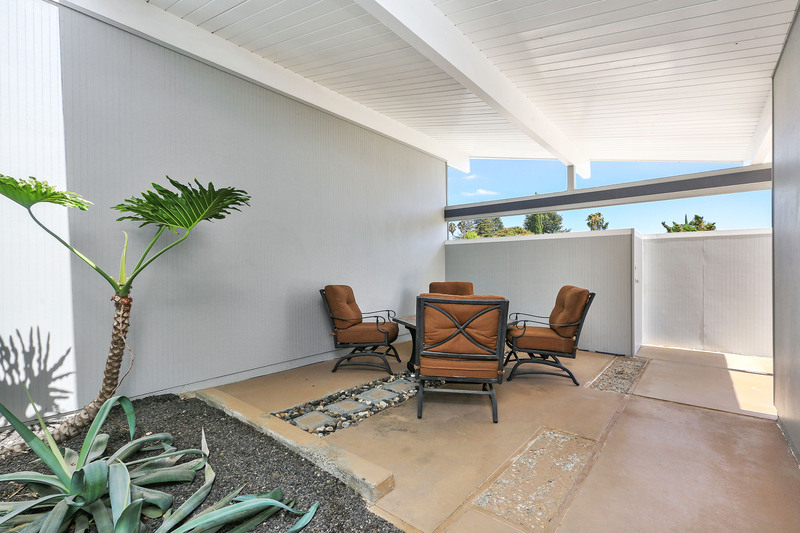 Other details include an enclosed courtyard with fire pit, spacious single car attached finished garage with automatic door, an insulated foam roof, newer HVAC for central cooling and heating, and newer on demand hot water heater. 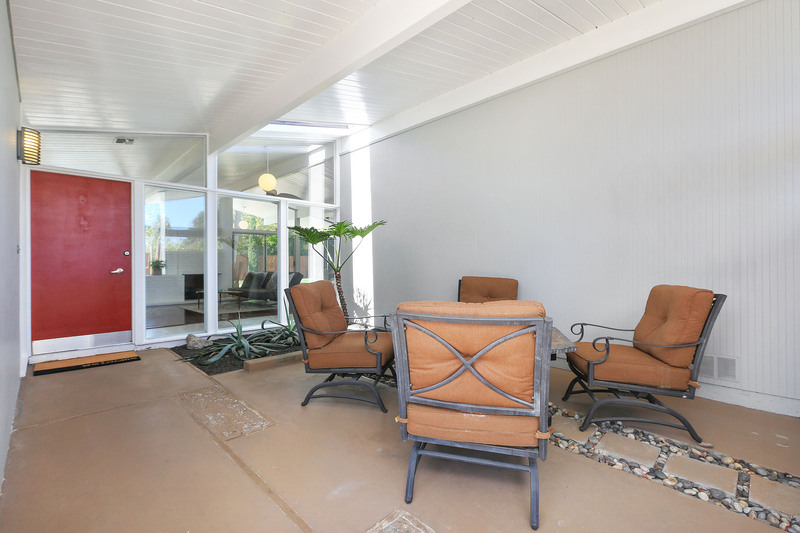 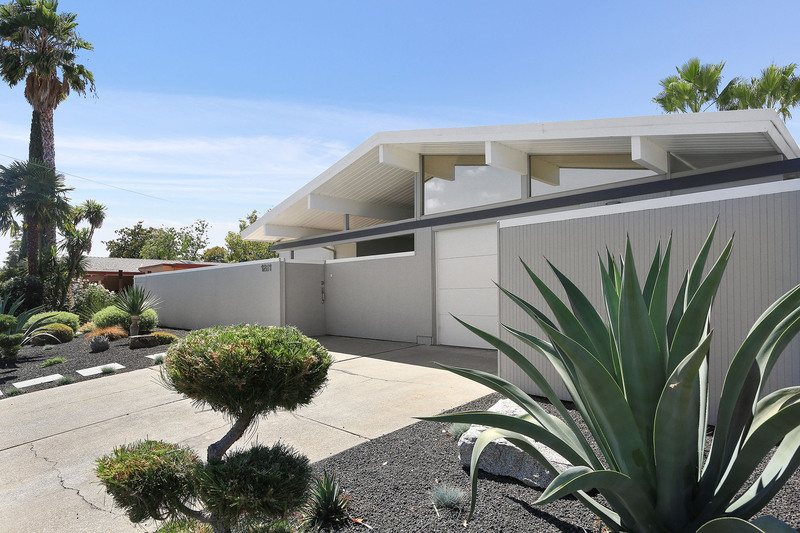 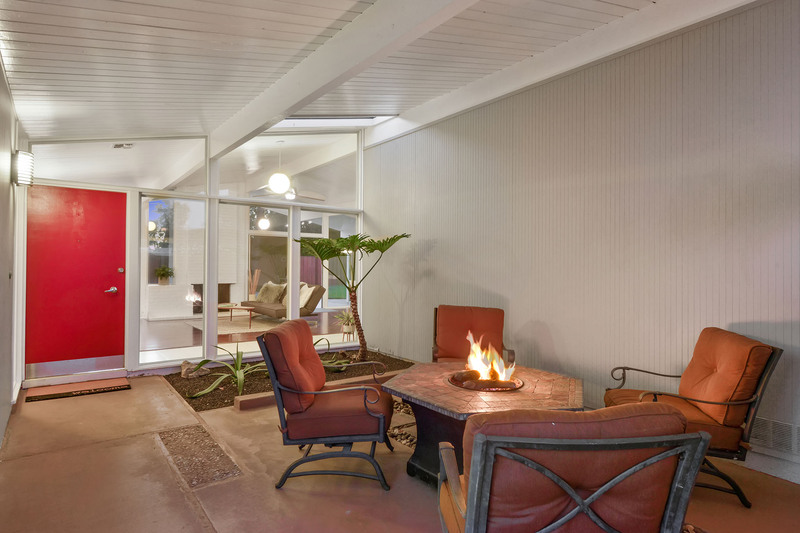 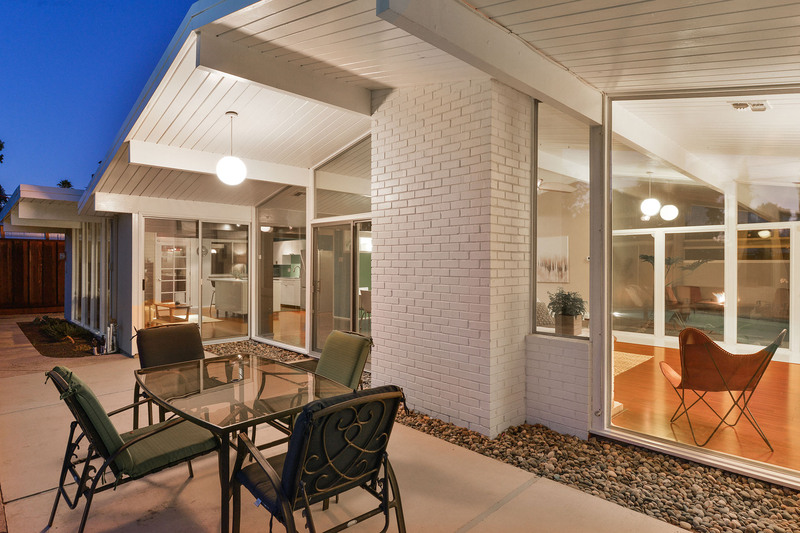 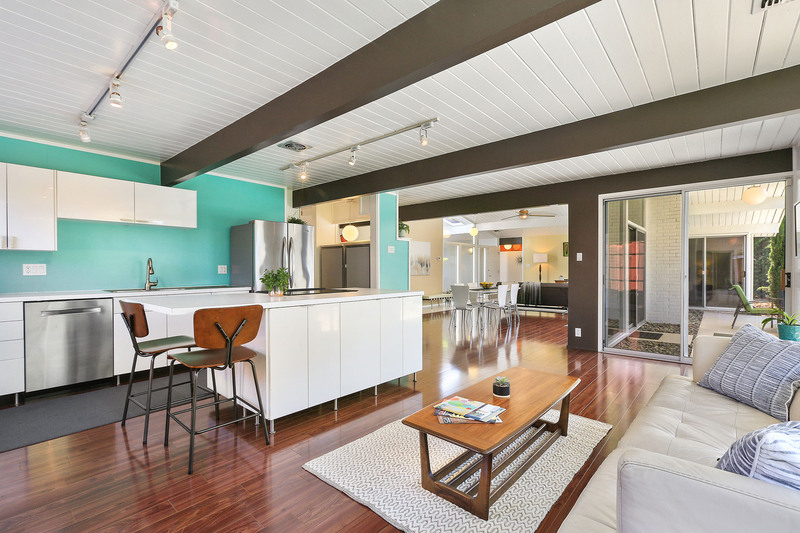 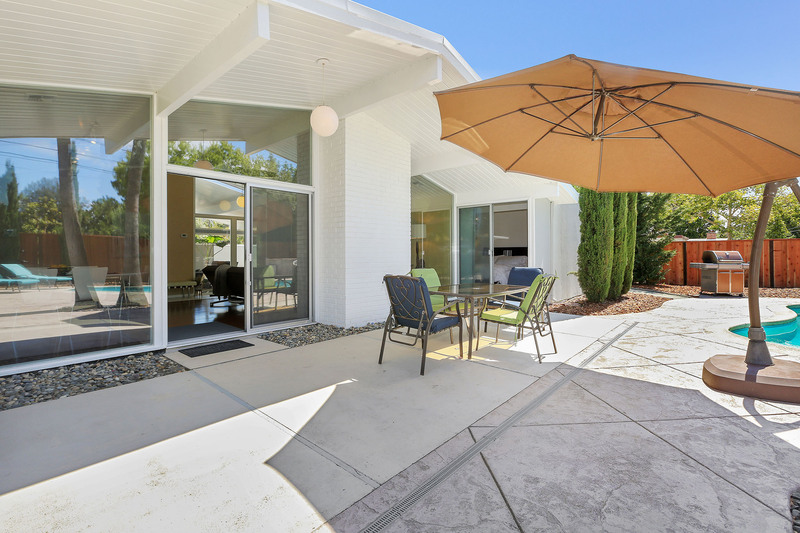 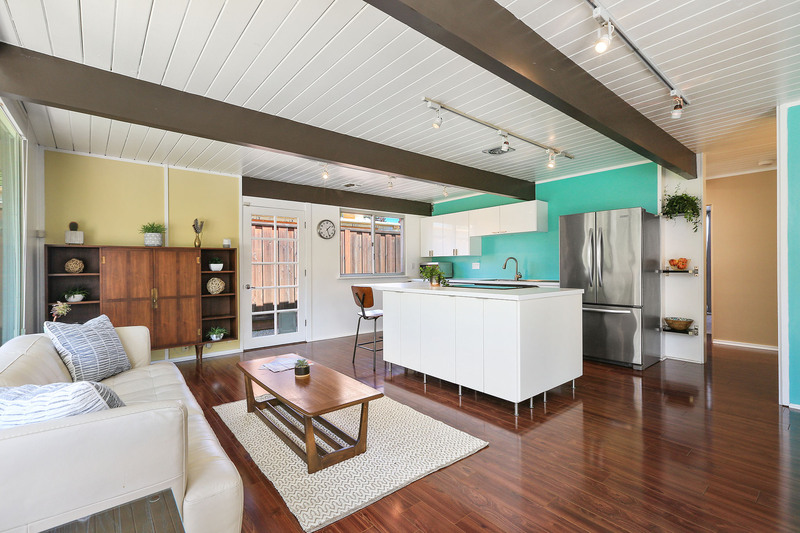 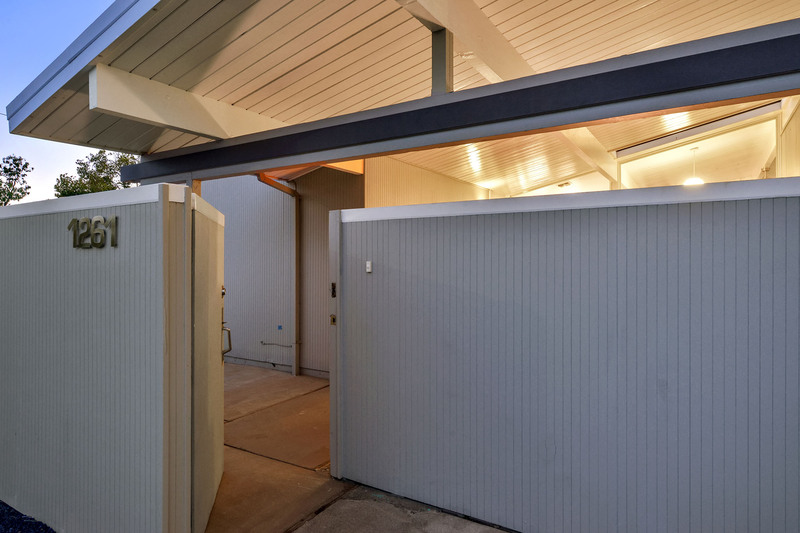 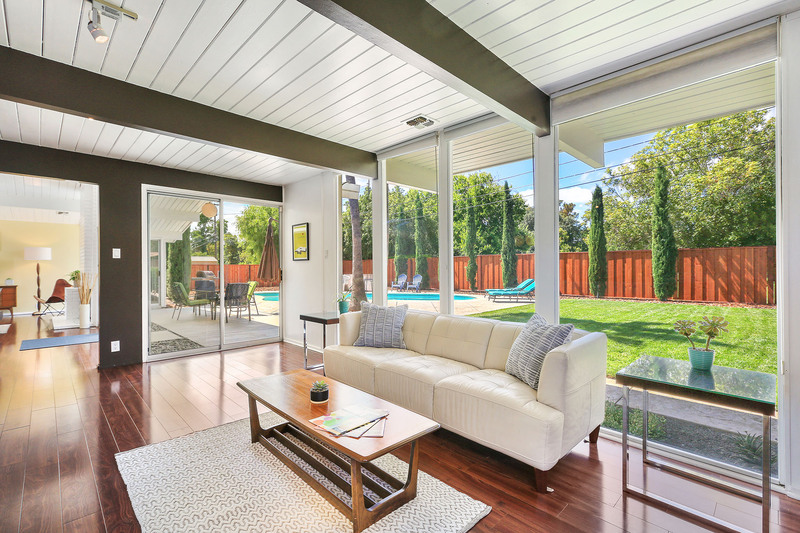 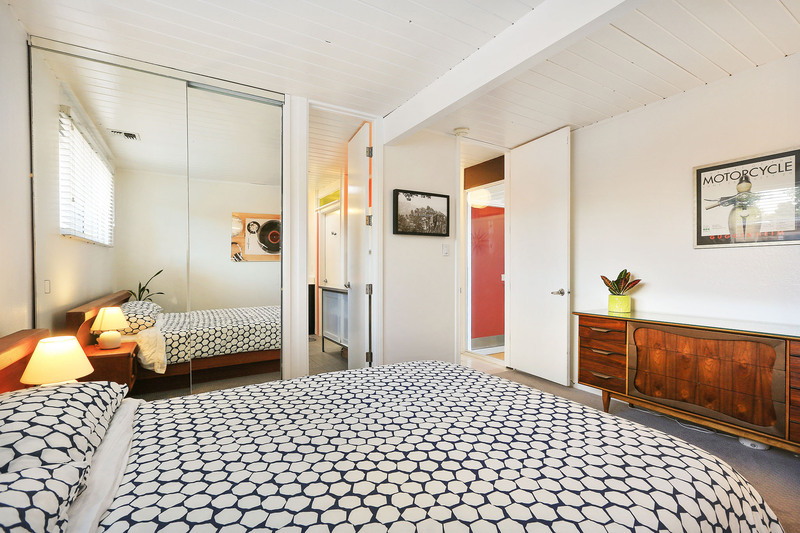 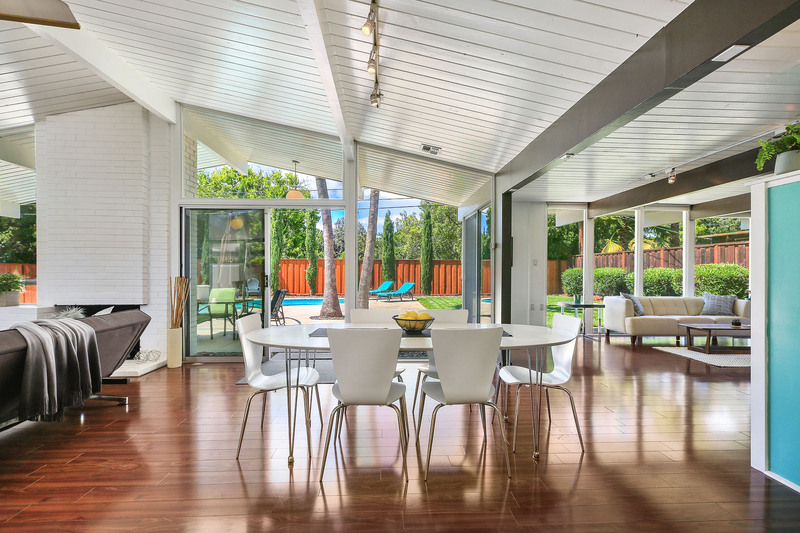 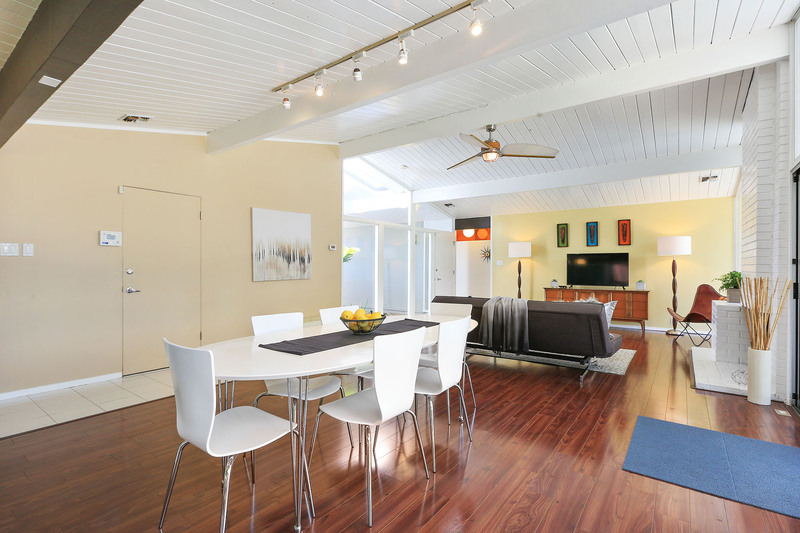 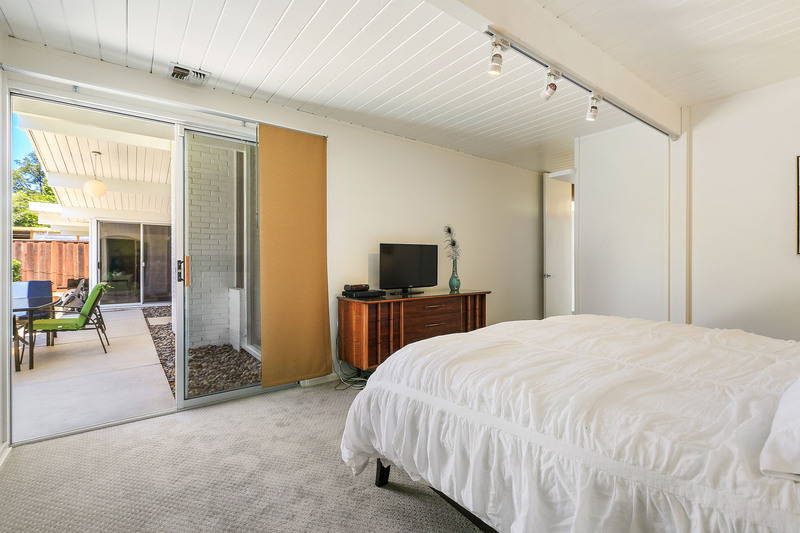 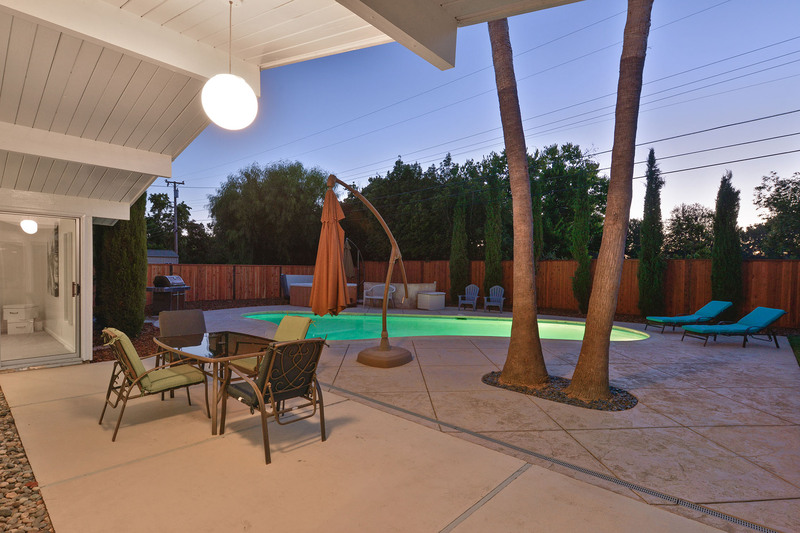 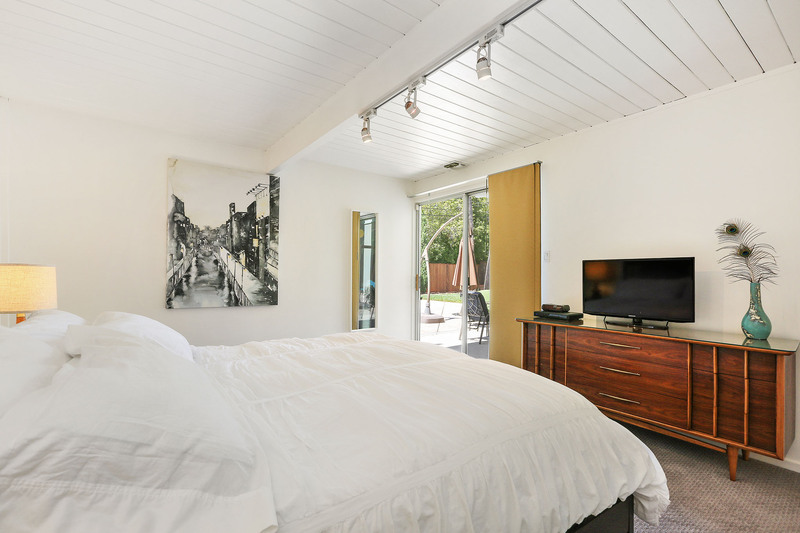 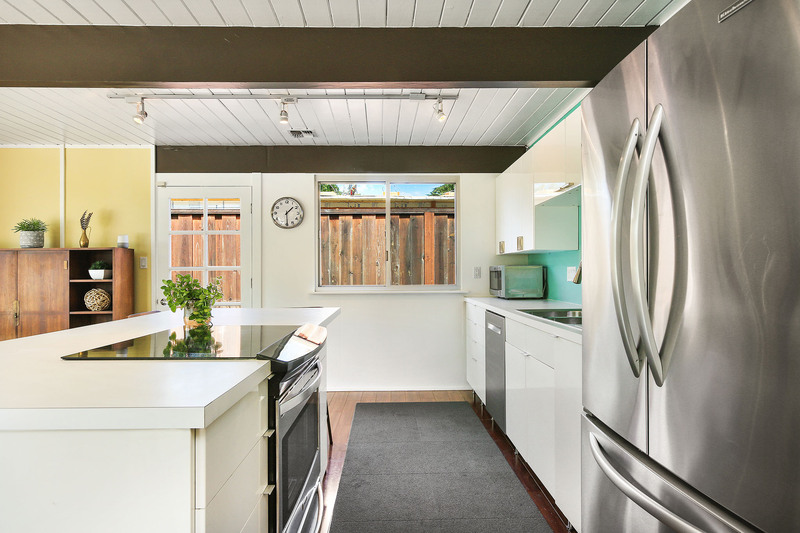 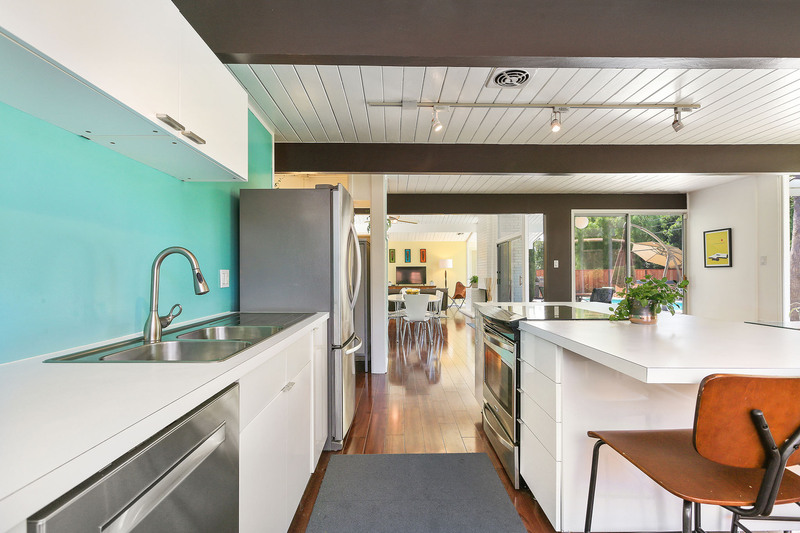 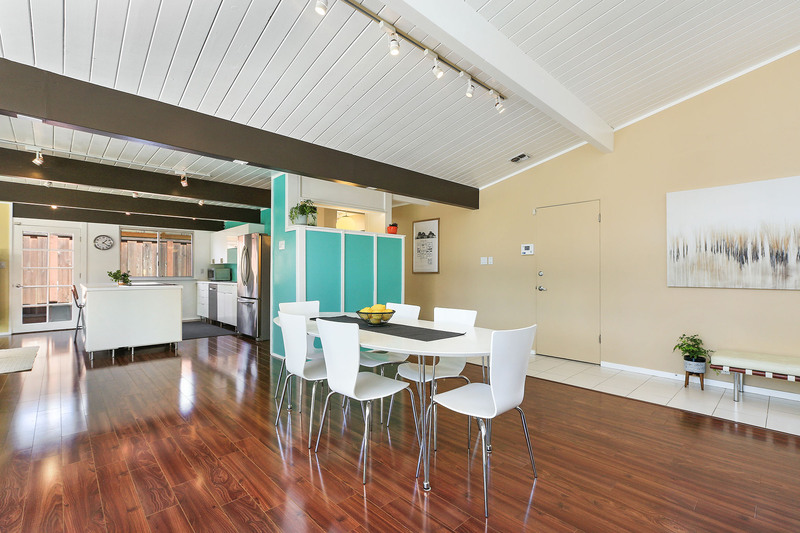 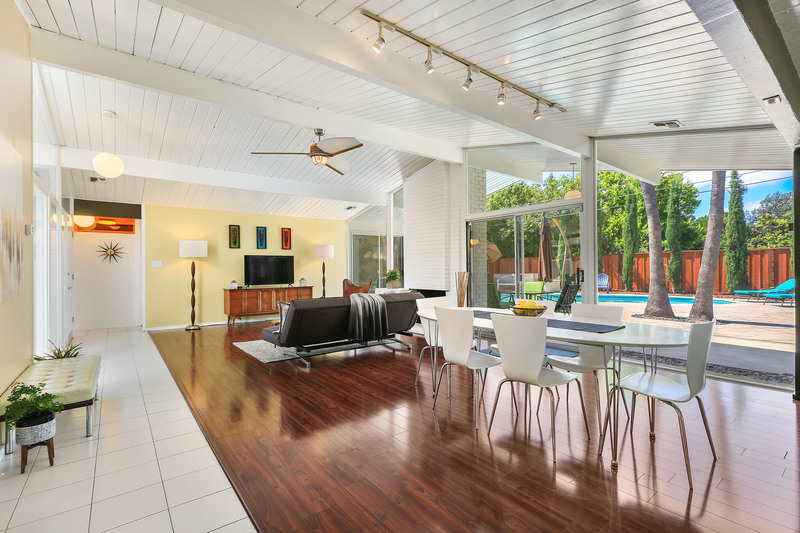 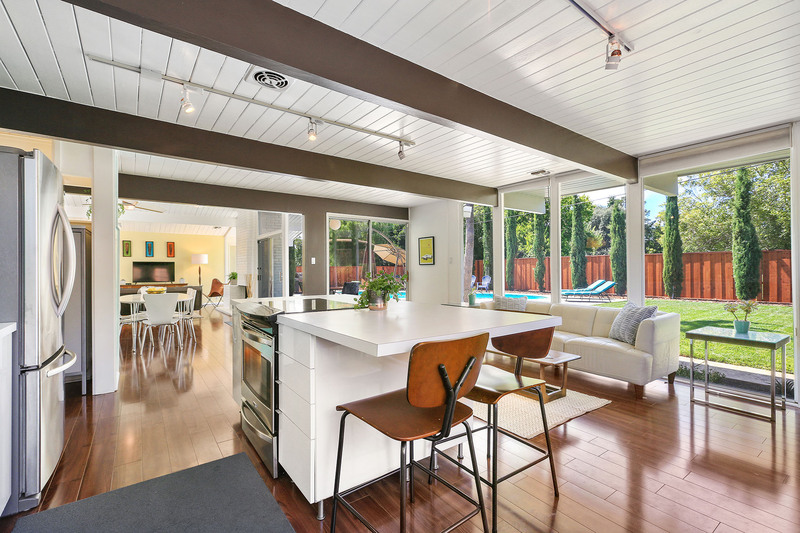 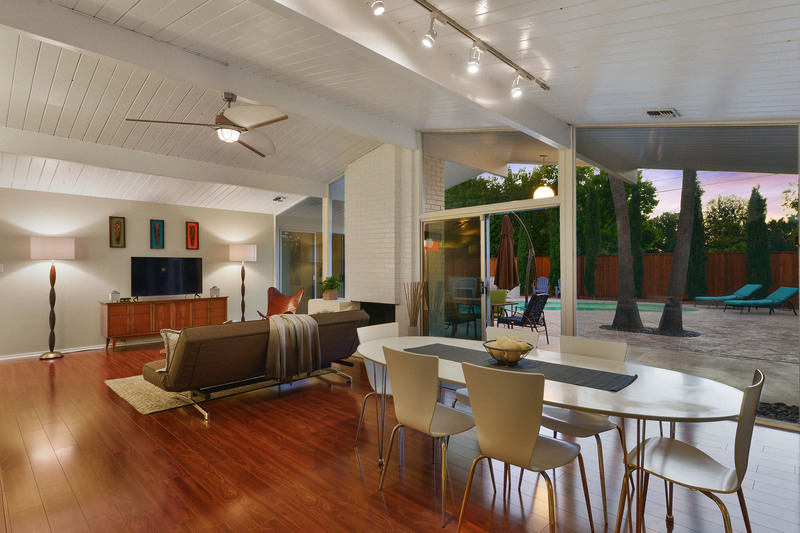 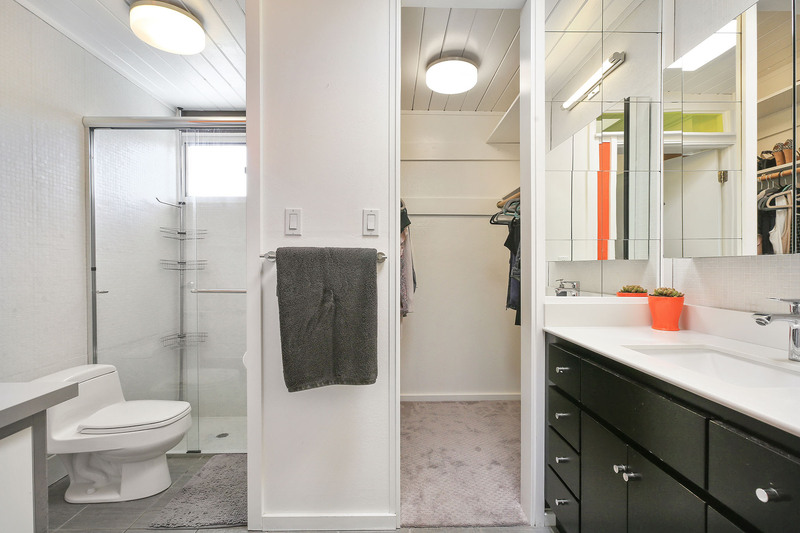 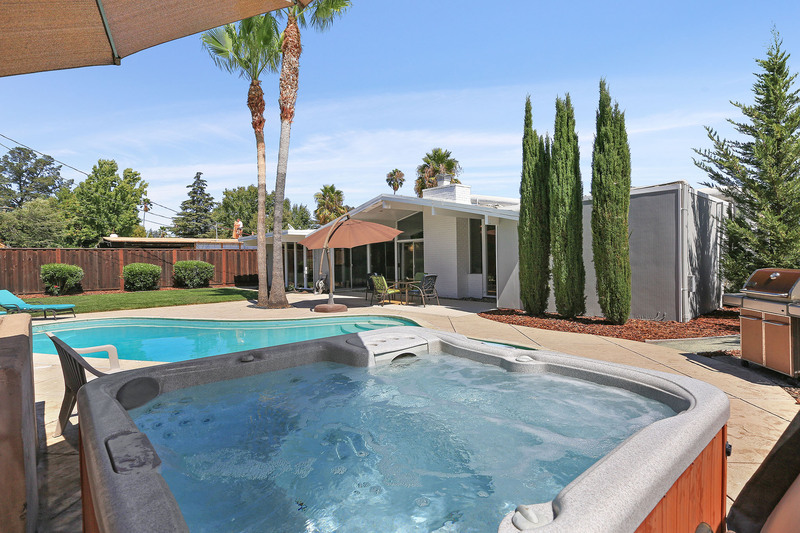 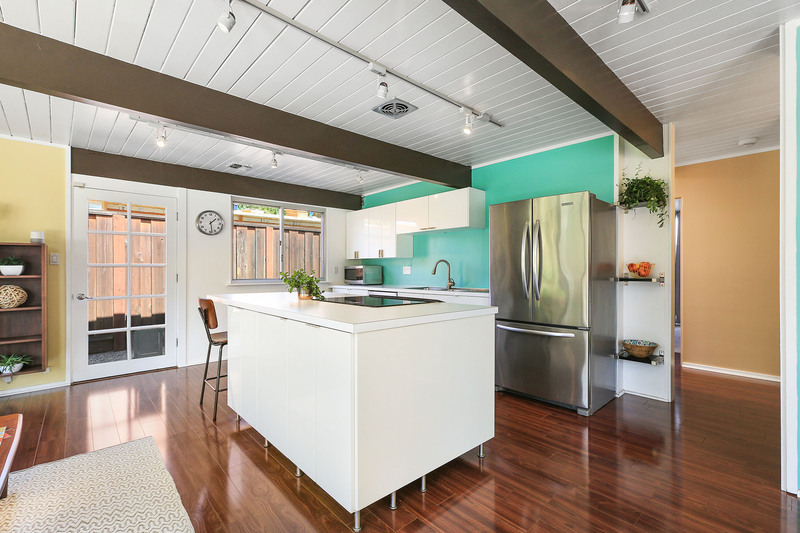 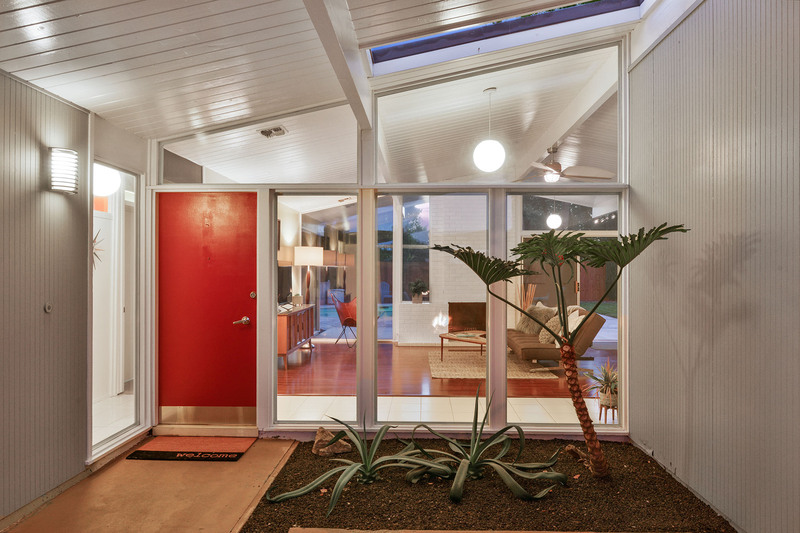 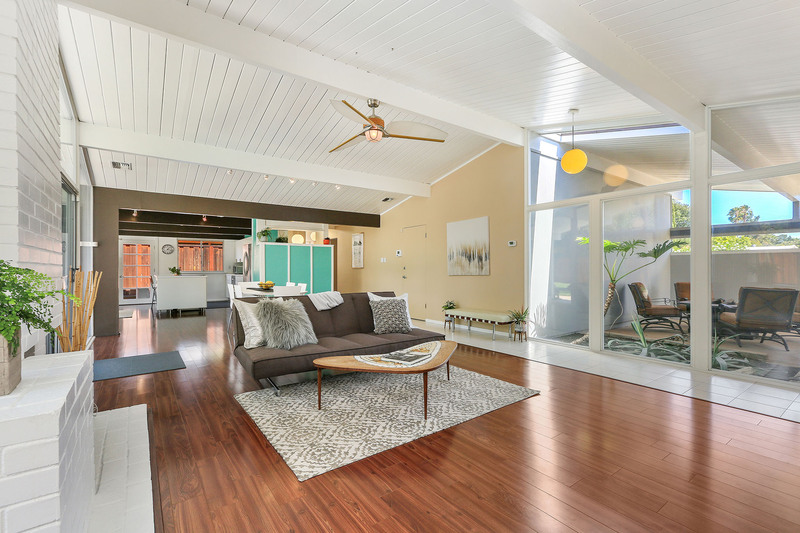 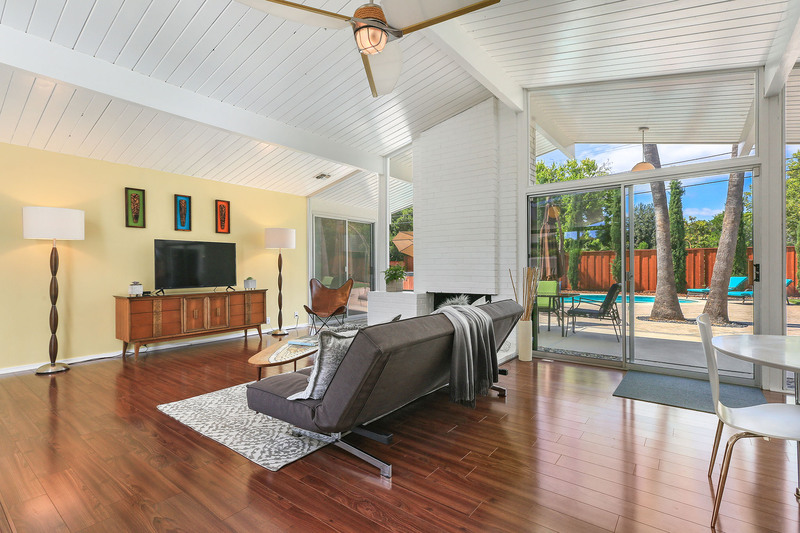 Situated on a generous level lot of almost 10,000 square feet, the fully enclosed backyard space is an amazing private oasis that epitomizes the Eichler spirit of bringing the outdoors in. 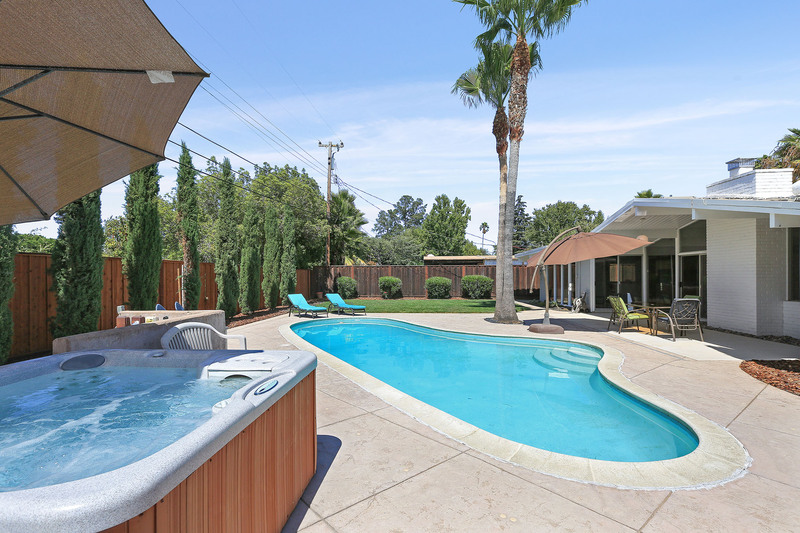 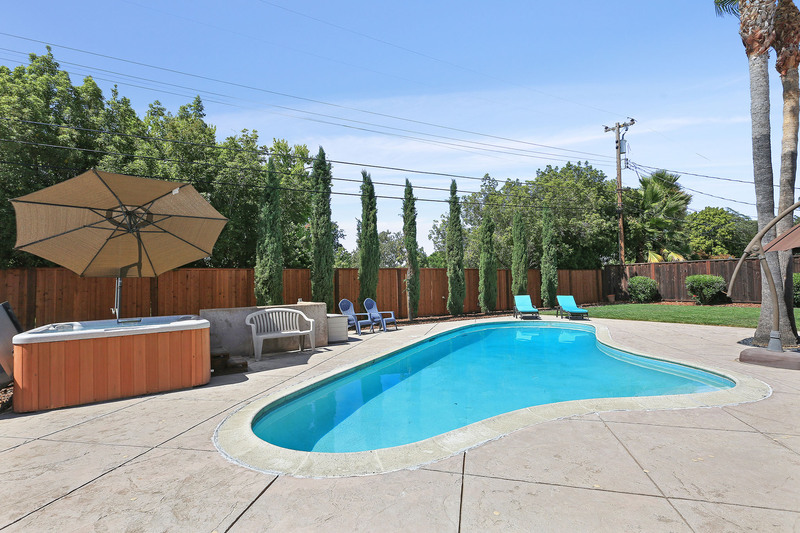 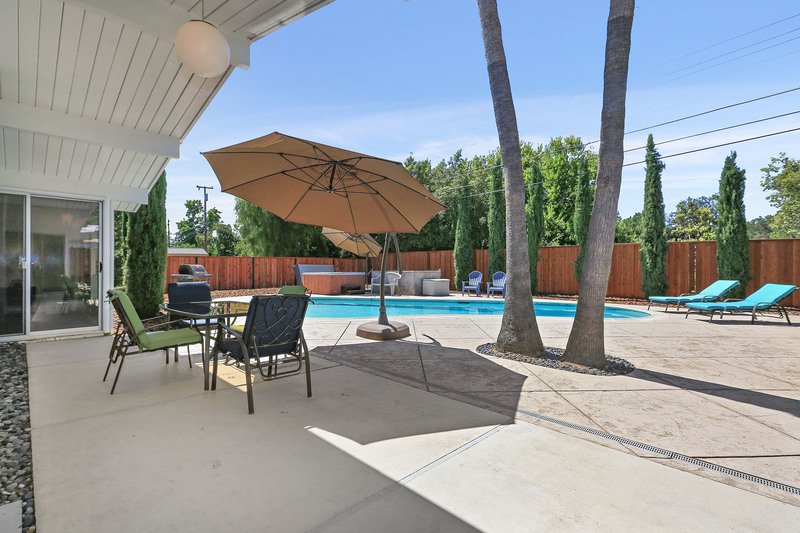 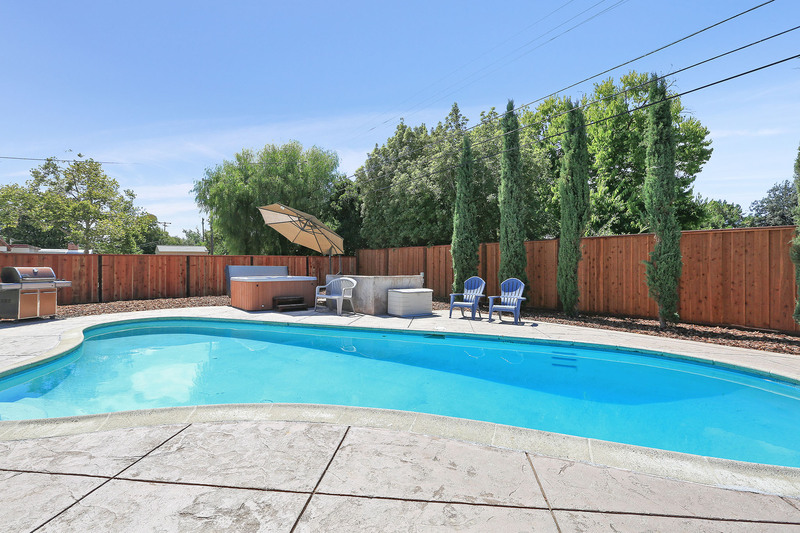 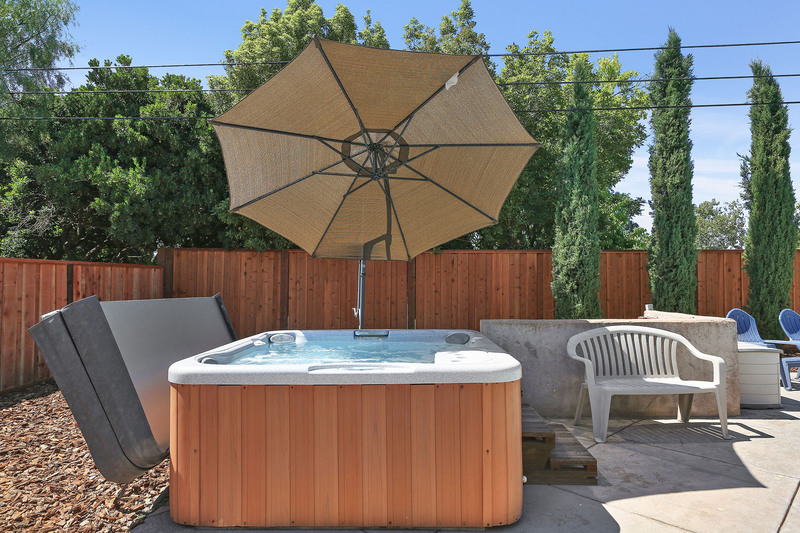 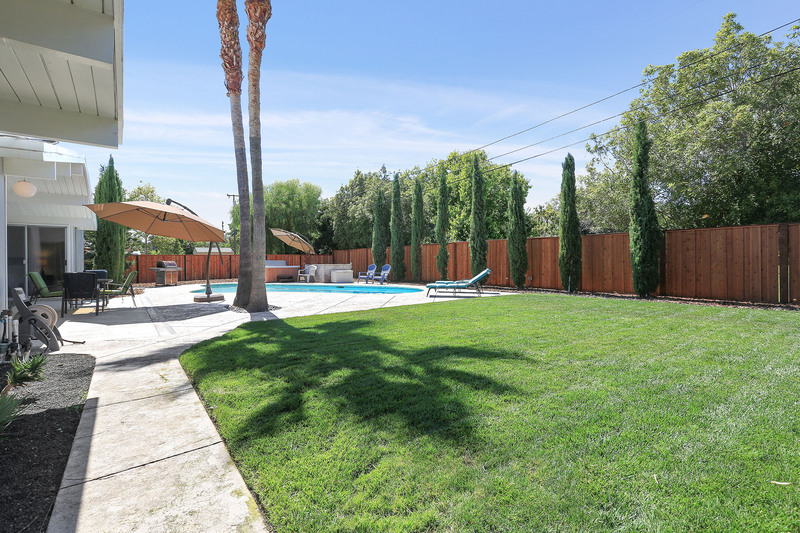 Ideal for entertaining and relaxing with friends and family with features that include a solar heated pool, hot tub with new locking cover, green space, newer fences, and patio that’s perfect for grilling and outdoor dining. 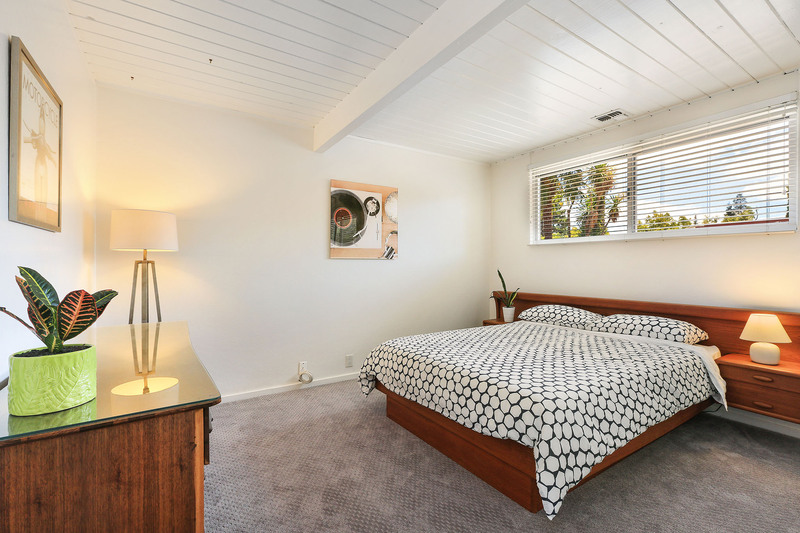 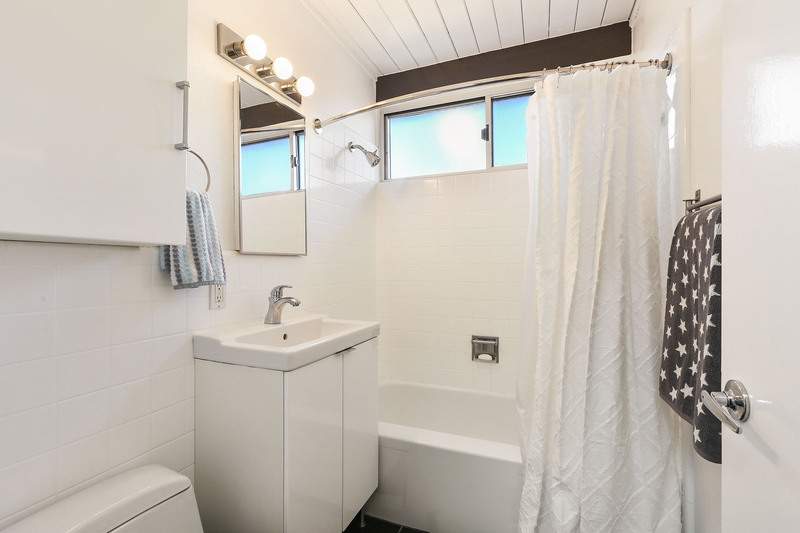 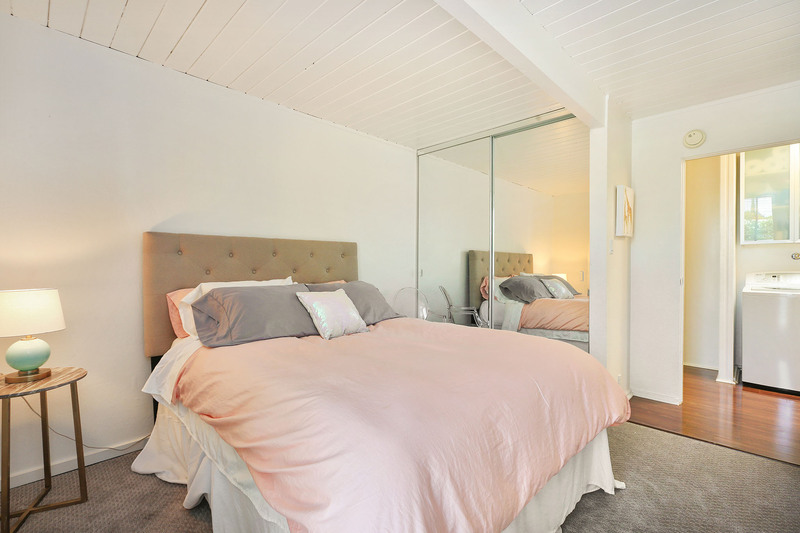 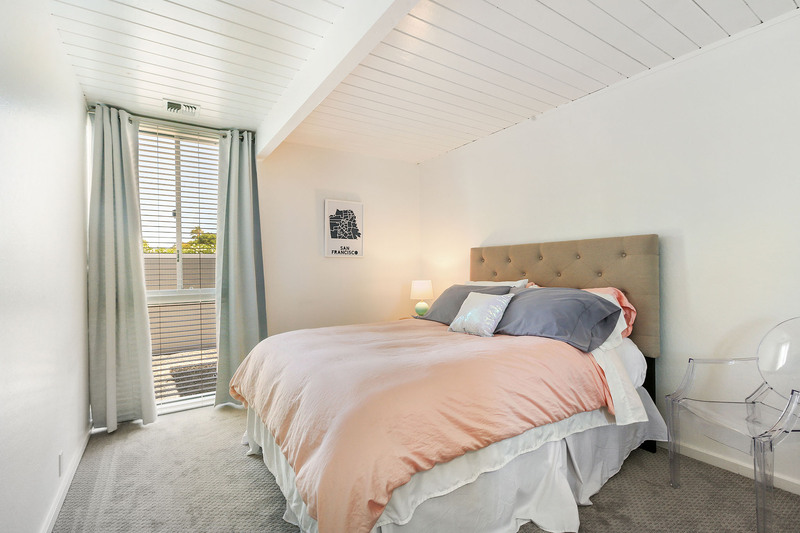 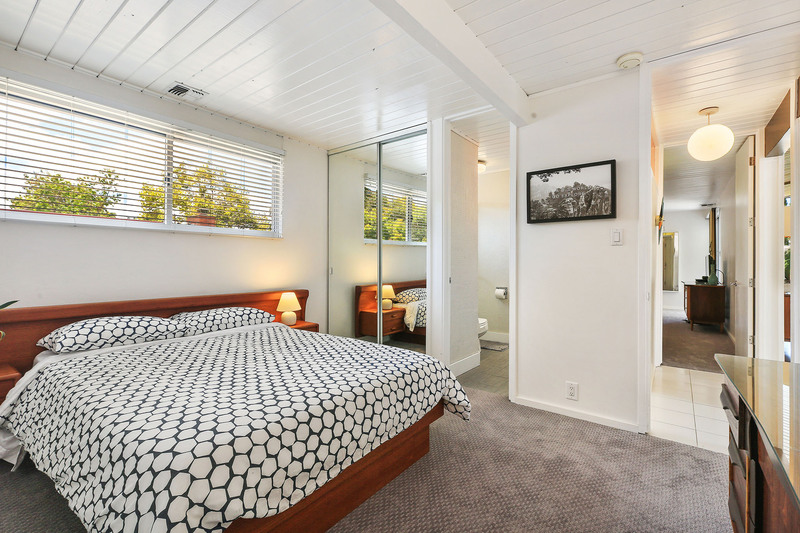 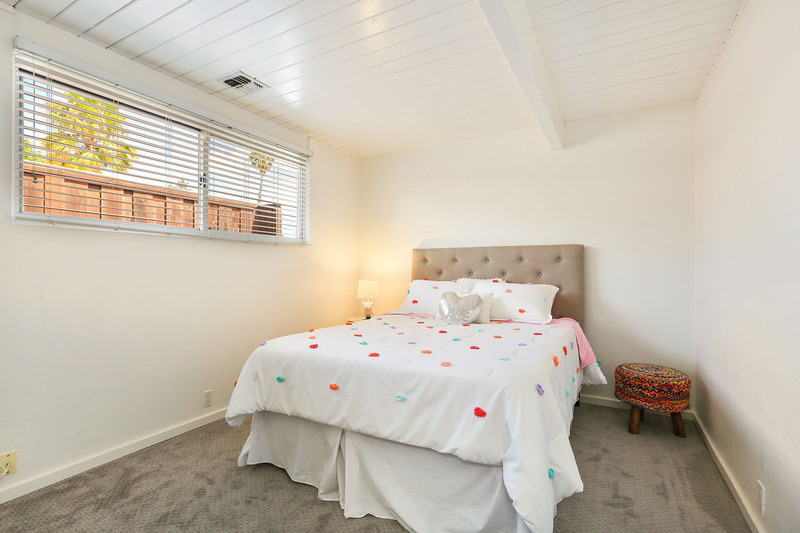 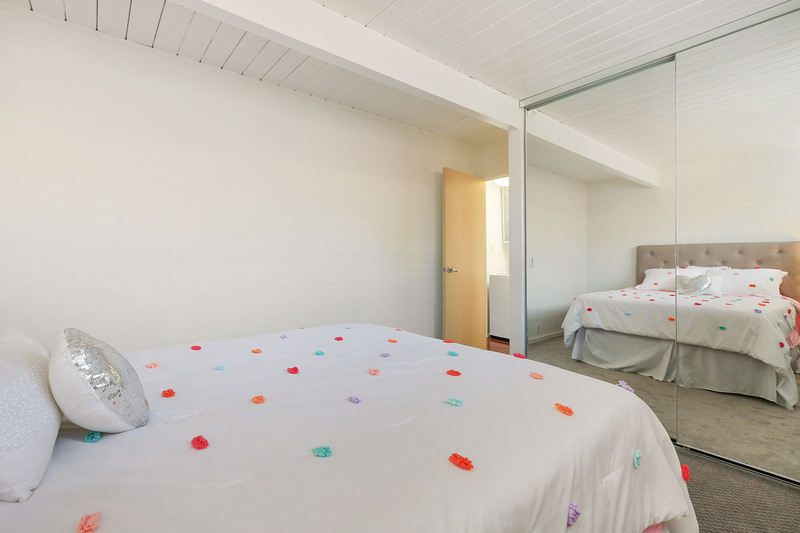 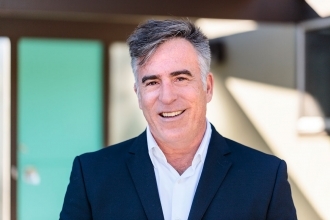 Incredible value for the Bay Area with the convenience of BART nearby, as well as many parks, recreation, shopping, and Todos Santos Plaza-home of the weekly farmer’s market, summer concert series, and dining for your enjoyment. 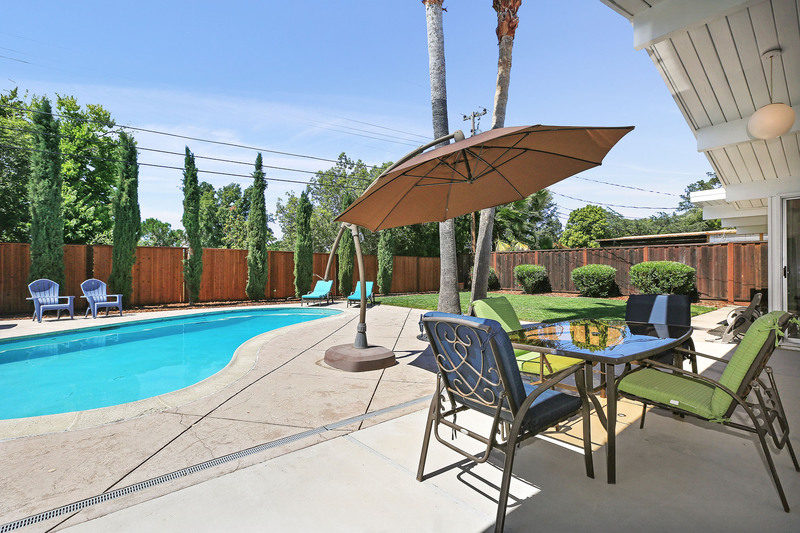 Offers due Wednesday September 19th by 3pm.